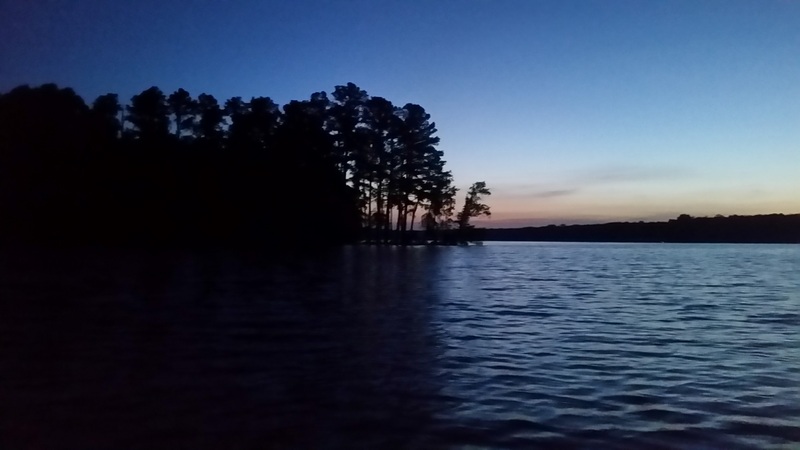 ​Summer time fishing can bring you the fishing blues as the fish bite less and begin to get weary of lures after tasting steel a few times. I used to really not fish much when the summer heat hit the midwest but I reached a point a few years ago where I just made the decision to really work at the summer bite. I had the summertime blues for that first summer but I was climbing that learning curve. 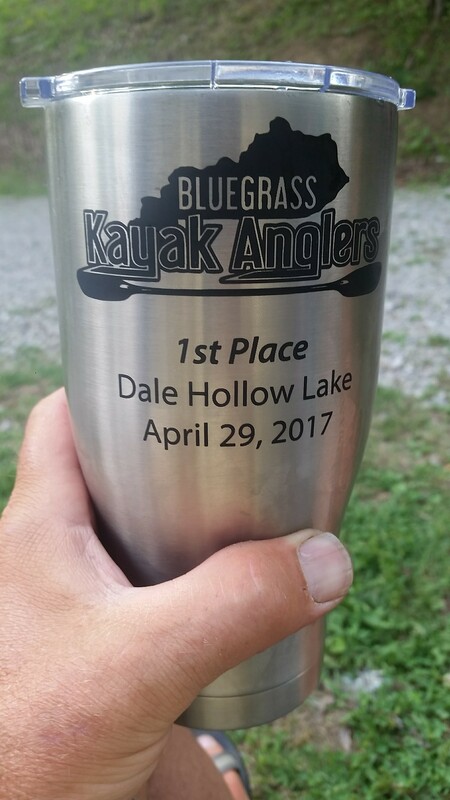 This brings us to BlueGrass Kayak Anglers, Cedar Creek tournament on June 24th sponsored by Sportsman Warehouse and it was blazing hot and when I say hot it was 75 degrees before the sun came up. 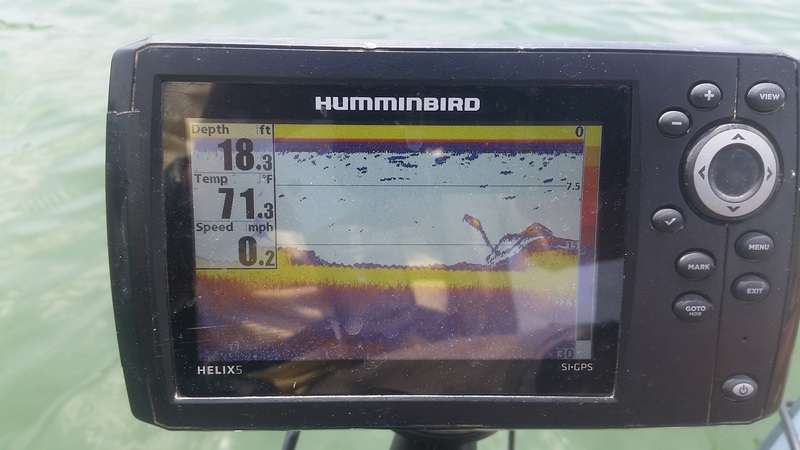 The summer bite was in full effect and using my one day I had to check the lake out i quickly ran down my couple of spots and was not happy even texting my buddy AJ complaining about it but that is when I saw my fish finder light up! 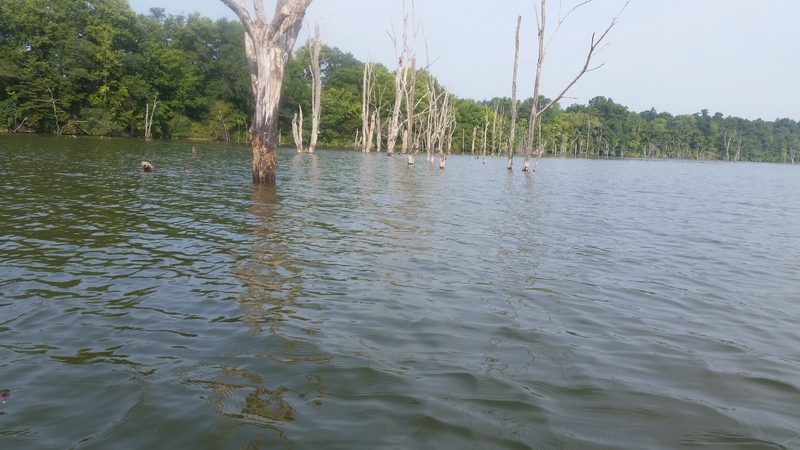 Summertime and hot temps stack the bass up in schools usually on main lake points but Cedar Creek does not follow too many rules, finding a monster school in the trees and when i say monster school I mean 75 yards of nothing but giant marks. Being the day before the tourney i was anxious to figure out the bite and even though I had marked the mega school they were not liking anything i was presenting them, I mean nothing not my small texas rigged worm no matter how small I down sized or the crawl or a swim bait or anything soft plastic. Being stumped I decide to do what I would not normally throw in the heat of the summer, I start throwing a small square bill crankbait in a crawl color and bang! Off some trees comes a sweet healthy fat largemouth bass. That was all i needed landing a couple to see the pattern and I call it a day. Oh and it’s hot like my kayak wanted to melt hot. Tourney day comes early and I load up on ice and water getting ready for the heat and there are a bunch of friendly faces at the ramp and as we wait till we can get on the water have some friendly banter back and forth. Drew rockets out from the launch and I hop on his tale using him as a tree detector we race through the trees in the dark. Arriving at my spot noticing the size of the school is half it was the day before but, they are still there. I try the worm but no luck not even a sniff, so comes the cranking and it was work getting the bass fired up, I would get them fired up and get a few then it would die and this repeated all day long I didn’t barely move. Jay Wallen showed up and I was hoping we could get them going together but it just never happened, stupid bass. I caught at least 30 fish all over 17 inches but you had to earn them. I reached the point where I decided to leave the school I was on all day and start trolling, started catching quality fish but nothing that i could upgrade on. Making my way back I decide to troll by some trees I have found bass on before and my rod got hammered almost ripping out of my hand and my Hobie PA 14 is getting spun around and pulled! BOOM she jumps out of the water and it’s a magnificent bass, truly a beast of a fish . I spend 15 minutes working in this giant to the yak and grabbing my net, I reached down to scoop her up and she turns sideways at the last second and she is so long that she won’t fit in the net and hangs over either side by a couple of inches. Right then the crank bait snags the net and she disappears with a splash to my face. I literally puked in my mouth at this point, i swallow my pride and just sit back and laughed, I am sunburnt, dehydrated, and now broken. She was something to behold I have personally never fought a large mouth like that before. On the water so very early. 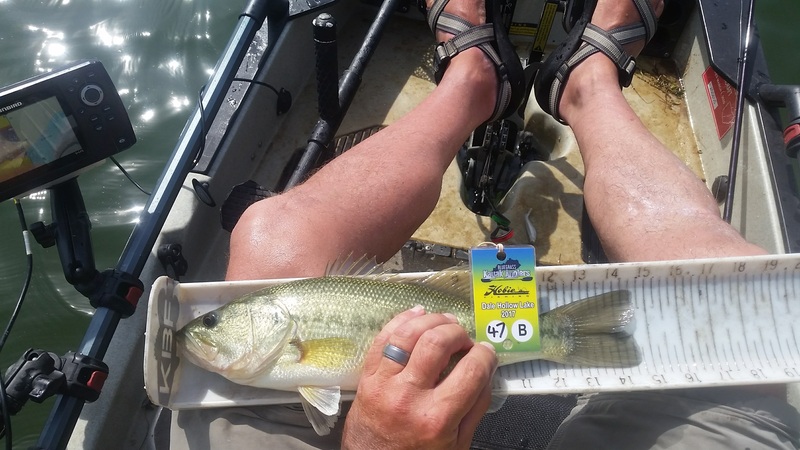 Its officially summer at Kentucky Lake and its the Hobie Bass Open this all means that some big fish will be caught by the country’s best anglers looking for one of two spots for Hobie Worlds. 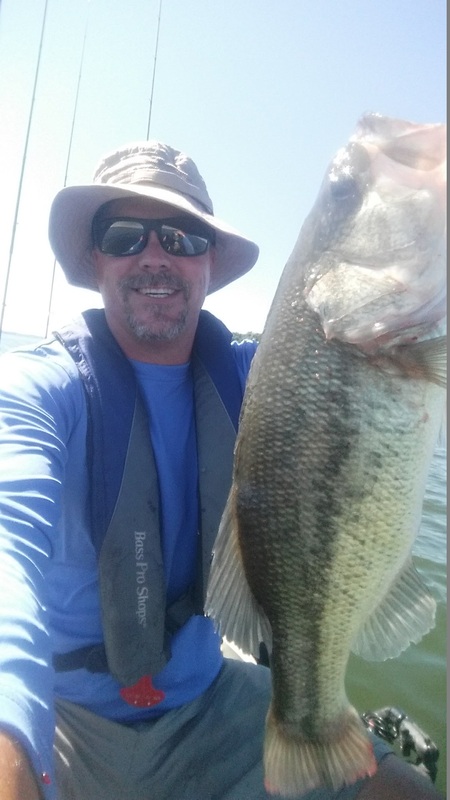 Kentucky lake is my favorite lake to fish but not having the summertime knowledge I got there almost a week before to pre fish and check out that ledge bite. 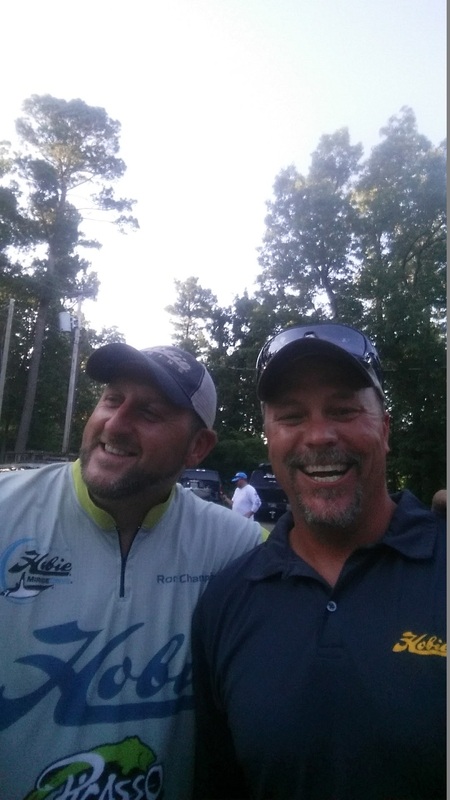 Ron Champion is one really cool angler. fun just joking around with him. Pre fishing is always a lot of driving on KY lake it seems like everything is a hour from where you are. Checking out some bays with ledges close by it didn’t take long to notice all the FLW boats on the ledges. 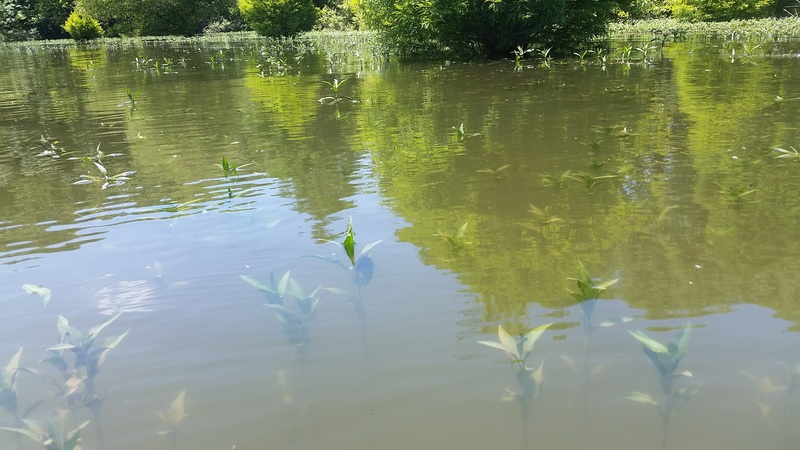 For me personally I never found a good school of good fish on ledges, only finding small schools of small fish I began to turn my attention to the shallows which I am more comfortable with and love picking threw wood. Finding a pattern of decent fish hanging out near the patches of grass and if I burned a small worm over top and killed it at the edge I would get some bigger bites. Always nice to have a pattern but still looking to find a ledge bite and using the Hobie’s Mirage drive to its fullest in my search but never finding some fish. 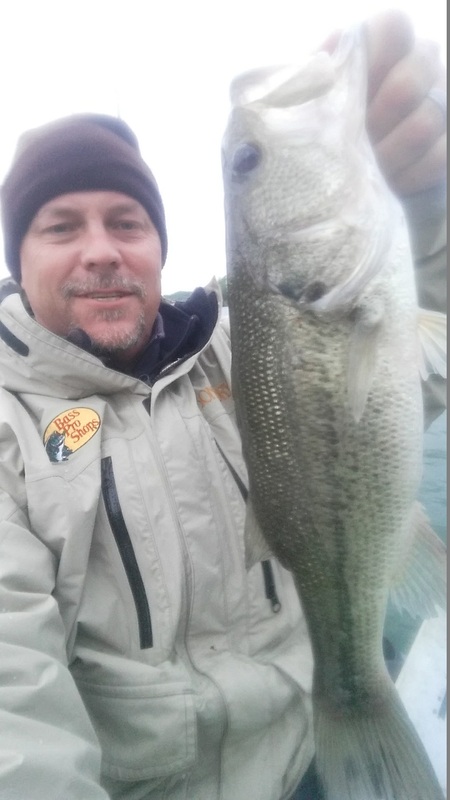 Looking at some main lake points and finding some schools on the longest points made for some fun pre fishing but the quality fish never showed themselves. Day 1 Went by quick catching a decent bag of fish on my pattern burning the a worm and killing it over grass. 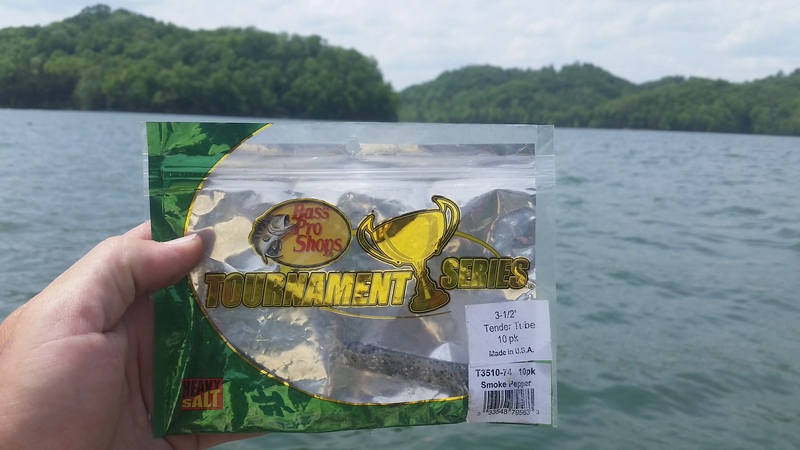 My teammate Tyler Tacy found a great pattern of Jigging docks and found some good ones. My bag for the day was 50.75. Tyler Tacy first day got him in the top 10 with 54.25 and let’s not forget to mention Jay Wallens amazing performance 58.75 inches! Ripping a small worm over weeds. Day 2 Started out with me waking up with a massive headache and when loading up my car puked out of nowhere. Not how i normally start my day, but you know you have to just deal with the cards you’re dealt. Luckily my pattern changed very little and I got my limit quick but needing a kicker fish I decided to change spots and look for those ledge fish again. Seeing Jay Wallens first day I knew i needed some big fish. Getting out on the main lake made feel like dog poop so I found a shady spot and took a short nap. 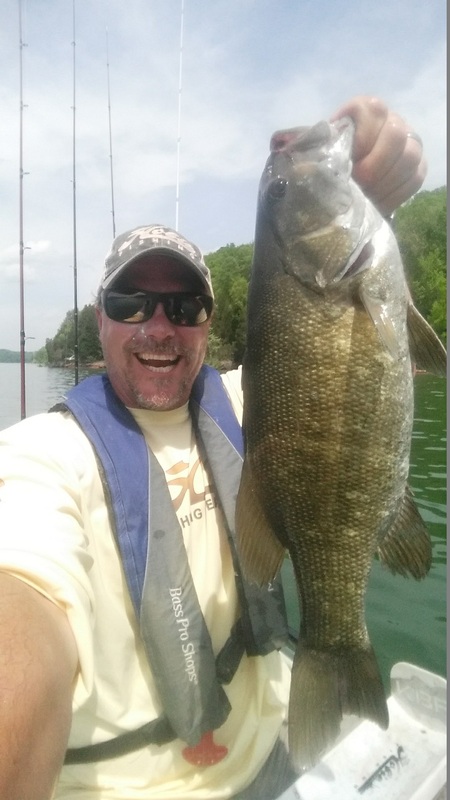 Just what I needed I started feeling better and soon landed a nice 18 inch smallmouth off a long main lake point. Second day total 51.5 inches. Back at check in Jay was looking nervous and that means he did good and he did do good, good enough to take the win with 56.75 for a total of 115.5! Everyone was close this was a super competitive field glad to have been there. 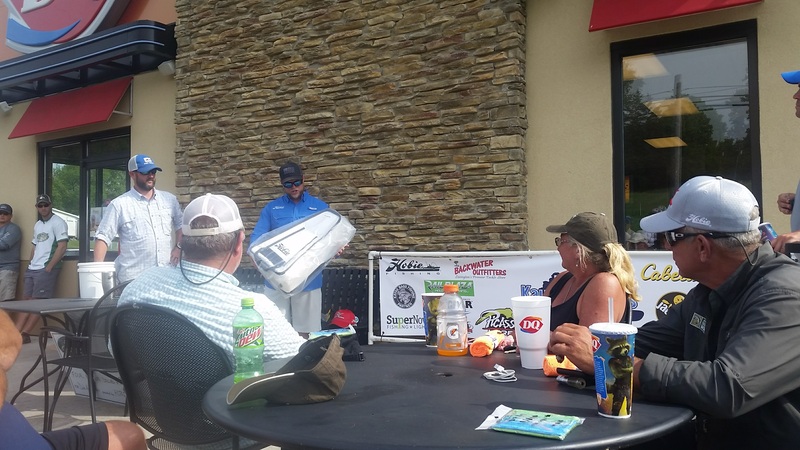 Hobie put on a great event we had food every day waiting for use can’t tell you how much that means to you when you have been on the water all day and a great raffle and not to mention if you made the top 12 you got a paycheck. 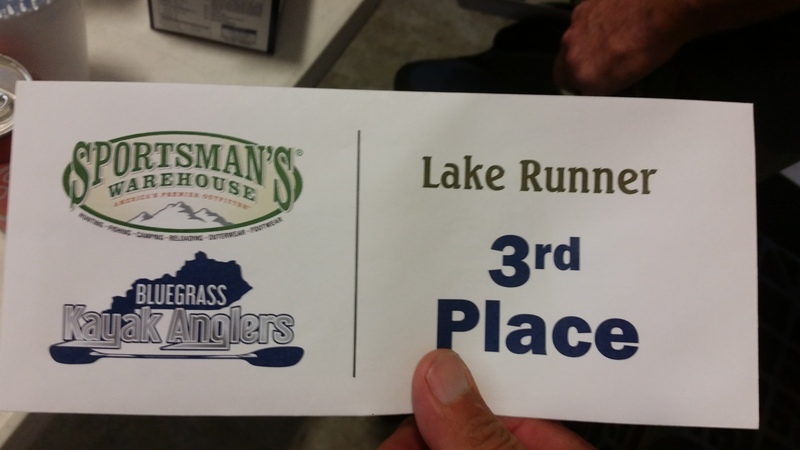 Ironically I was unlucky and placed 13th just shy of a paycheck, already thinking about getting back to Kentucky lake and find some of those big ledge schools.